Are these two Bosnians Islamic jihadis? 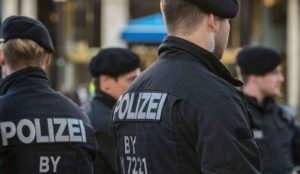 Maybe, but there is no way to tell for sure given the reticence of German authorities. If they aren’t, this is still a cautionary tale: if these two men can get 17 functional hand grenades across the border, jihadis can get weapons across the border as well. Imran Awan is a Professor of Criminology at Birmingham City University. 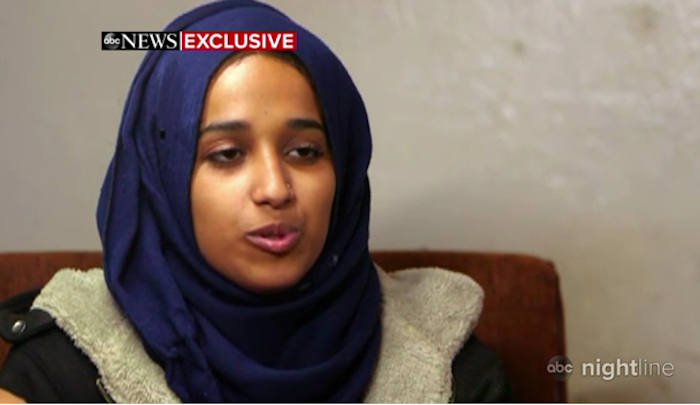 Banning this young woman from entering her home country would be playing into the hands of extremists. Everything and anything we infidels do “plays into the hands of extremists”, right, Imran? Where did we hear this kind of claptrap before? Does it get any more extreme than joining the Islamic State and becoming a brood sow for those savages? No. I suspect Imran Awan is and IS sympathiser. He has no place teaching on any university in the West. The state cannot convict her to a life of misery on the basis of decisions she made as a child. The UK still has a duty of care towards Shamima and many others like her who are now facing the consequences of decisions they took as children. Really. What about their victims? ….the government’s methods to prevent radicalisation are clearly not working. 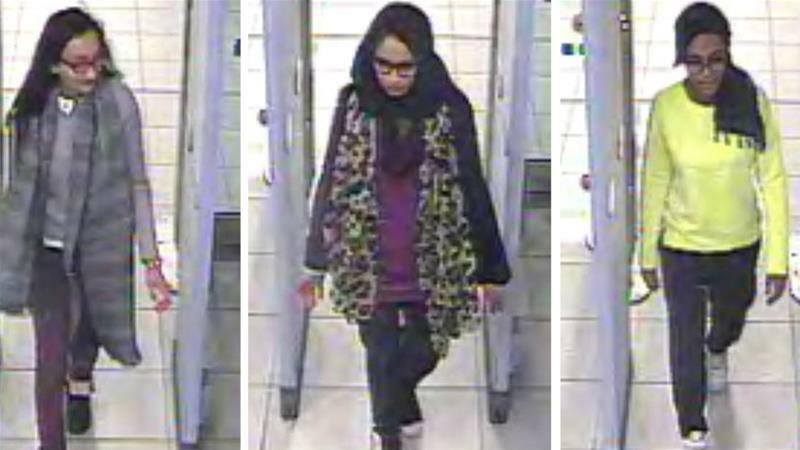 If we want to stop British children like Shamima, Salma, Zahra or Talha from travelling to warzones and joining ISIL or other death cults, we need to take new, fundamentally different approaches. Refusing to allow Britons who made the mistake of joining ISIL back into the UK may make the right-wing tabloids or Twitter patriots happy, yet it won’t stop radicalisation of other young people. You don’t say, Imran. Your propaganda gives me the impression you are heavily pregnant with the jihad ideology and deceiving the kuffar is your business. Back in February 2015, a blurry image showing three teenage girls passing through security barriers at Gatwick airport made headlines across the world. These ordinary-looking British schoolgirls, who had all been attending the Bethnal Green College in London, had grabbed the world’s attention for a very sad reason: They were travelling to Syria to join the death cult that is the Islamic State of Iraq and the Levant (ISIL, also known as ISIS). Amira Abase, Shamima Begum and Kadiza Sultana were only 15-16 when they made the decision to abandon their families, their friends and a promising future in the United Kingdom to build themselves new lives in a warzone. Their families said they were “normal, happy teenagers” before their disappearance. Britain, and the entire international community, was in shock. At the time, the runaways sparked an important conversation: What had motivated them to do this? Was there a chance to prevent this? Can Britain do anything to save these children from themselves? Pundits, experts and politicians spent weeks trying to provide answers to these questions. Some put the blame on the security forces and the government, others blamed the girls’ families, many tried to plead with them to come back and a few warned them that they would face prosecution if they ever choose to return home. But, as expected, the news cycle eventually moved on. The world forgot about these young “ISIL brides-to-be”, as tabloids called them. Earlier this month, almost exactly four years after they left Britain, however, one of these girls, Shamima Begum, now 19 and living in a refugee camp in northern Syria, grabbed international headlines once again. Kadiza Sultana, we learned, had been killed in an air raid in 2016. The whereabouts of Amira Abase was unknown. In an interview with the Times newspaper, Shamima revealed that she was heavily pregnant with a Dutch ISIL fighter’s child and, most crucially, she said that she is hoping to “return home” for the sake of her unborn baby. Suddenly, this vulnerable young woman was once again at the centre of an important national discussion: Should she be given another chance? Should any ISIL returnee be allowed back into Britain? As the discussions continued, the Home Office revoked her citizenship. Many celebrated Javid’s seemingly strong stance against “terrorists”. But the decision to abandon this young woman to her fate was a mistake, for multiple reasons. When Shamima travelled to Syria, she was just 15 years old. She was too young to vote, give consent or make any life-altering decisions. In other words, she was a vulnerable child, a British child, and the state failed to protect her. Today, she is a 19-year-old young woman, who survived four years in a warzone, under an oppressive misogynistic regime, in abominable conditions, and is equally vulnerable. Her lack of regret maybe because she is pressured. The state cannot convict her to a life of misery on the basis of decisions she made as a child. The UK still has a duty of care towards Shamima and many others like her who are now facing the consequences of decisions they took as children. Shamima was neither the first nor the last Briton to leave the country to join an extremist group. According to an estimation by the International Centre for the Study of Radicalisation (ICSR), 41,490 people from 80 countries joined ISIL in Iraq and Syria between April 2013 and June 2018 and at least 850 of them were British citizens. Many of these people were either minors or young adults, such as Salma and Zahra Halane (the so-called “terror twins” who travelled to Syria at the age of 14) or Talha Asmal (a 17-year-old A-level student who became the youngest British suicide bomber after detonating a bomb near an oil refinery in Iraq). This shows that the government’s methods to prevent radicalisation are clearly not working. If we want to stop British children like Shamima, Salma, Zahra or Talha from travelling to warzones and joining ISIL or other death cults, we need to take new, fundamentally different approaches. Since the first conviction of a Syrian returnee, Mashudur Choudhury, in 2014, the number of returnees to Britain has surged to approximately 400. The desire for many of these individuals to return – even though they know that they likely will be persecuted and jailed – offers us an opportunity for rehabilitation. With the right approach, many of these individuals could provide a counternarrative that might be used to explain the dangers of joining ISIL-like groups to vulnerable youth and help prevent future generations from taking that route. In other words, these returnees can be transformed into assets that could help the state stop ISIL and similar other groups from brainwashing British children. If Shamima is not allowed back in, she may be forced back into another radical group and become a real security threat. But if she is allowed back in, there would be a chance for her rehabilitation. By allowing Shamima to come home, UK can amend its past mistakes. She can face a fair trial, if found guilty of any crime, pay her dues to the society and with the help of social services one day be integrated back to the community and be a reproductive member of society. This is not wishful thinking. It is already happening elsewhere in Europe. A high number of Danish citizens travelled to Syria to join ISIL and other similar armed groups in recent years, and many of them eventually chose to return to their home country. Unlike France, Britain or Germany, the Danish state does not automatically prosecute these individuals. It also does not try to revoke their citizenship rights. Instead, Danish officials allow these people to join a reintegration programme supported by the government. They are all offered practical help – ranging from treatment for shrapnel wounds, to psychological counselling, or help with job applications. This, of course, does not mean former fighters who have committed criminal acts abroad are not punished. Persons who have been found guilty of a crime under Danish law will still be imprisoned. The Danish model appears to be working. Such programmes not only help create a relationship of trust between the state and former fighters, reducing security risks, they also save young lives by helping returnees re-integrate into society. Britain can, and should, follow Denmark’s example. Shamima was once “a poster girl for ISIL”. Now, the British government has an opportunity to make her the face of a new, more efficient and humane way of dealing with radicalised youth. Banning this young woman from entering her home country would be playing into the hands of extremists.